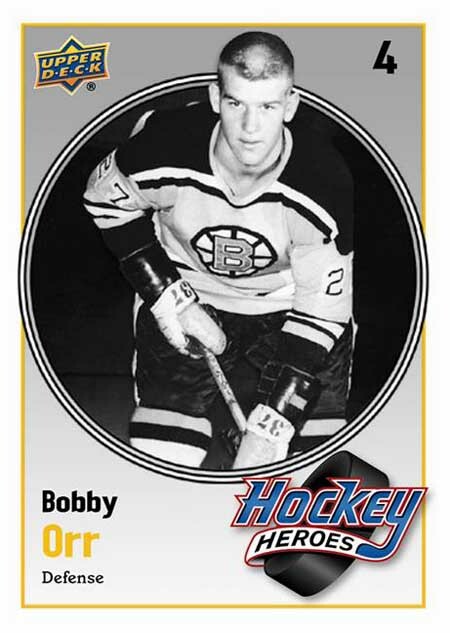 Look for 'Draft Class' die-cut acetate cards, Bobby Orr autographs and Rookie Materials Jersey cards! Carlsbad, CA (February 17, 2011) – Making sure this year's NHL season is one to remember, Upper Deck proudly releases its latest hockey card effort: 2010-11 Upper Deck Series Two. Boasting a 500-card base set, the flagship brand’s second series is the perfect complement to the company's November release of UD1 with its latest "Young Guns" rookie cards of the league's best freshmen. Further, the “Victory Update” RCs highlight standouts such as Taylor Hall and Jordan Eberle (both of Edmonton), Tyler Seguin (Boston), Jeff Skinner (Carolina) and Sergei Bobrovsky (Philadelphia). 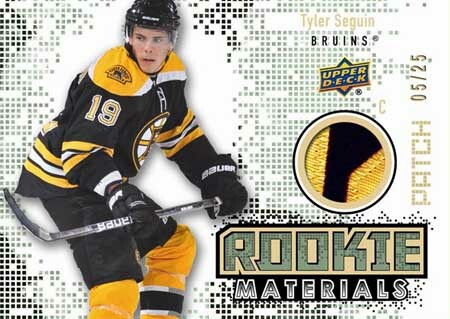 Some of the up-and-comers who are featured as part of the “Young Guns” rookie card lineup include Boston’s Tyler Seguin, Colorado’s Kevin Shattenkirk, Edmonton’s Magnus Paajarvi and Linus Omark, as well as New Jersey’s Mattias Tedenby and Evgeny Grachev of the New York Rangers. Each of the cards found in the 20th Anniversary variation insert lineup boast the same card design that Upper Deck debuted with its inaugural hockey set back in 1990-91, while also being printed on the same vintage card stock. As was the case with UD1, the 20th Anniversary variation cards can be found six per box, on average. "Victory Update" rookies and regular cards will drop one card in every other pack, while special Gold (1:24 packs) and Black (1:288) parallel versions will keep earnest collectors on the lookout. Upper Deck Series Two Hockey also includes die-cut "Draft Class" acetate cards (numbered to 10) as well as "Rookie Breakouts" versions appearing 1:100 packs, on average. The “UD Game Jerseys” insert falls at a rate of 1:24 packs, on average, and includes current stars like Alex Ovechkin, Sidney Crosby, Carey Price, Martin St. Louis, John Tavares, and Henrik Lundqvist. 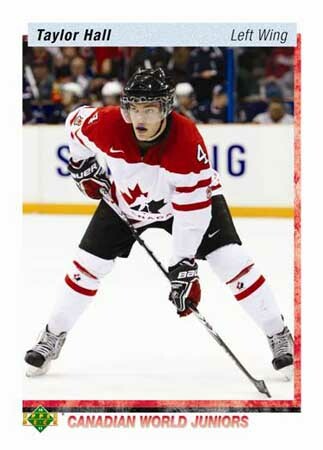 The “Rookie Materials” insert (1:24 packs) includes such up-and-comers as Montreal’s P.K. Subban, Boston’s Zach Hamill, Toronto’s Nazem Kadri, as well as Edmonton’s talented trio of Hall, Eberle and Paajarvi. Lastly, the “UD Signatures” lineup of autograph cards is second to none as retired greats like Orr and Wayne Gretzky have signed along with current sensations including Ovechkin, Crosby, Hall, Tavares, Lundqvist and Evgeni Malkin to name just some. Upper Deck’s 2010-11 Series Two Hockey set holds eight cards per pack and 24 packs per box and is currently available on store shelves.